For spinning, a 10’-12’ rod is important for giving you a good casting range. 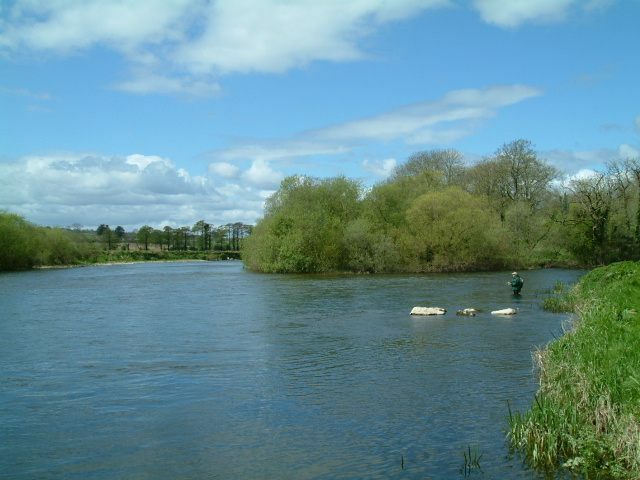 Recommended lines for Spring and Autumn fishing is 15-20 lb breaking strain. In low water or summer conditions 10-12 lb breaking strain is ideal. Worming will be restricted in the early season when Kelts are still to be found in the system and also in late autumn as the fish approach spawning time. The favourite spinners include Flying Cs, Silver Bullets with rubber tails, Blair spoons, Devon minnows, Lane Irish minnow, Tobies, Mepps Aglia and smaller spinners in lower water.